Home > > Vehicles > 6864 > 2018 Jeep Wrangler Unlimited SOLD!!! 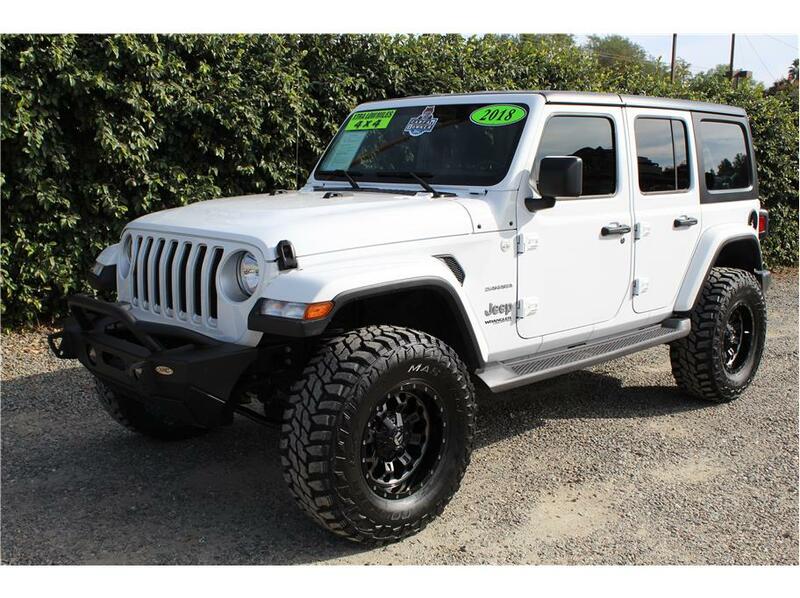 This awesome New Body style 2018 Jeep Wrangler Unlimited Sahara in bright white has the updated V6 3.6L engine with its new 8 speed transmission which makes the new JL’s pick up and go very quick! Our Jeep has 6k miles and has had some great upgrades done to it at an early stage of its life, such as a 2.5 inch Rubicon Express lift, Fuel wheels wrapped in new 35×12.5×17 tires, a smooth textured Smittybilt XRC front bumper and dark window tint. These luxurious JLU’s have all the new bells and whistles, such as a 7-inch touch screen display, Integrated Voice Command with Bluetooth, Technology Group, a Factory black 3 piece hard top, Rear AC vents, Parkview Rear Back up Camera, power windows, power door locks, power mirrors, keyless start, USB and micro USB charging ports then you could ever want to charge your devices! A complete 151 point inspection was performed on this Jeep and a simple Oil change was all it needed, along with those great modifications. A new generation Jeep with all these addons will not last, come test drive it today!